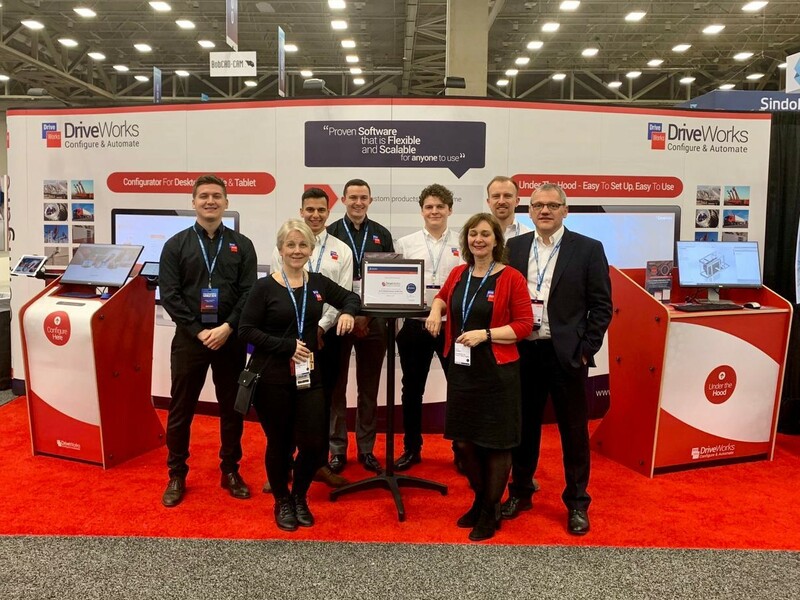 At SOLIDWORKS World 2019 in Dallas, DriveWorks have been presented with the SWUGN Partner of The Year Award. 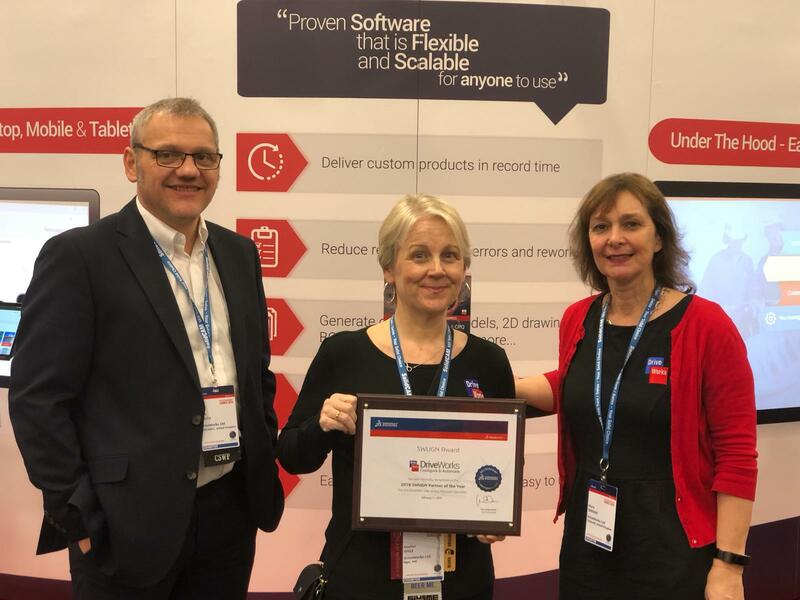 The awards have been around since 2005 and last year we won the award as Co-Participating Partner of the Year, alongside Rapid. We are so honoured and proud to receive this award again, thank you SWUGN! We love being a part of the SOLIDWORKS Community, SOLIDWORKS User Groups are awesome. 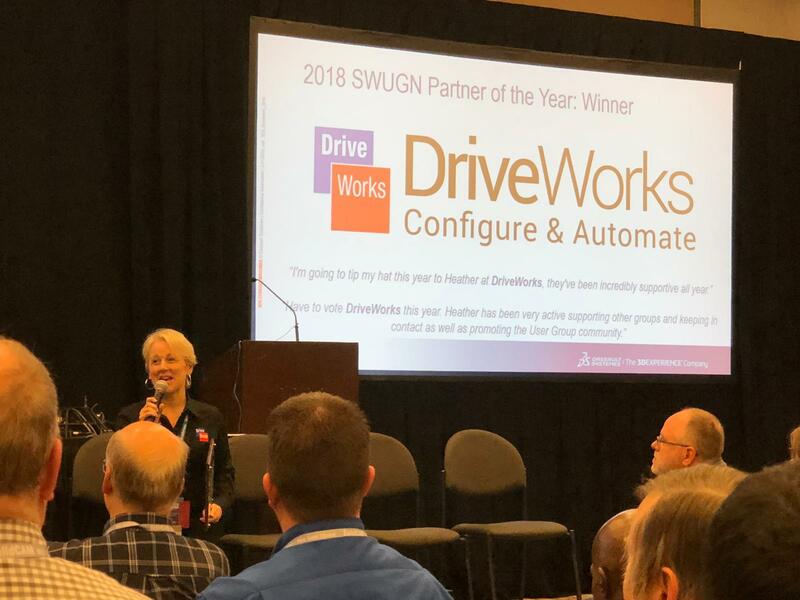 We can’t wait to be a part of lots of great SWUG meetings again this year!